The National Society of the Sons of the American Revolution (SAR) invites all high school students (9th through 12th grades) interested in the American Revolution to participate in the George S. & Stella M. Knight Essay Contest. The contest is open to all US Citizen and Legal Resident students attending home schools, public, parochial, or private high schools in that same grade range. 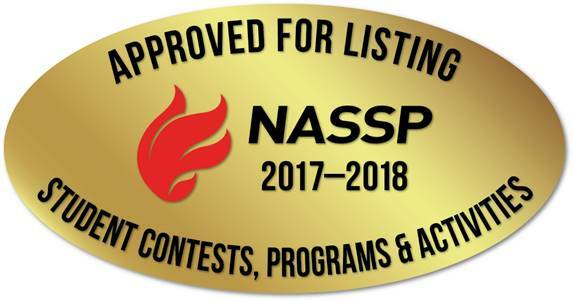 The National Association of Secondary School Principals has placed this program on the 2017-18 NASSP List of Approved Contests, Programs, and Activities for Students. The current George S. & Stella M. Knight Essay Contest Judge-at-Large is Mr. Christopher Smithson (ctsmithson@gmail.com). Maryland SAR C. Louis Raborg, Jr.
Ohio SAR Donald C. McGraw, Jr.
Pennsylvania SAR J. Rennick Steele, Jr. The George S. and Stella M. Knight Essay Contest Committee is proud to announce the winner of the national contest. Each year, the SAR receives an average of thirty state-level winners from around the country to compete in the national-level contest. Visitors can find a list of the previous George S. & Stella M. Knight Essay Contest national winners below.